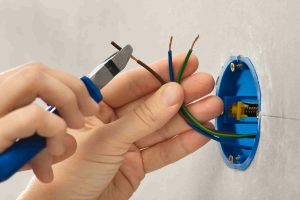 Do you need new switches, general lighting or re-wiring? Then you need a professional electrician. Maroochydore residents can rely on Phil Wilshire Electrical for prompt responses and affordably priced services that are completed by a professional team. With many years of experience in the industry, we are confident we can cater to your needs. We are happy to offer our services to residential, commercial and industrial clients and apply the same amount of dedication and professionalism to all jobs big and small. With a mission to understand any problem and apply our skills and knowledge to the solution, we are always adapting ourselves to the changing electrical industry. 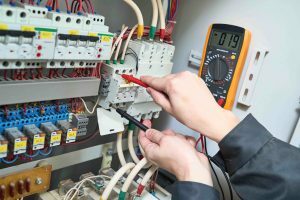 With offerings of afterhours service for emergency electrical faults and repairs, our team can ensure that you have reliable electrical outlets and services at any time. On top of our general services, we also offer solar system installation to help our customers save money on power bills and do their part to help the environment. We also specialise in automatic gate services which are great for a range of properties, providing convenient entry with the benefit of extra security. With years of knowledge behind us, our team are able to help with any type of installation outside of these. If you would like a further understanding of how we can help you, get in touch today. To learn more about any of the services we provide please get in touch with us today by calling (07) 5491 3911. Our team can help you through any of your electrical services. We extend our work throughout Maroochydore and surrounding suburbs, including areas of Caloundra, Buderim and Kawana. With 36 years in the industry, you can trust us to be the team that will help with any electrical problem.